Last minute places for Alpine Abrazo 2013! Get your CTA-CDs for as low as 31,- EUR ! New July releases available now! Last minute places are available for Alpine Abrazo tango marathon! If you fancy spending a great tango weekend in fantastic nature of a National Park in the mountains with nice people, perfect location, great food please check it out this truely all-inclusive event! Stefan Ludwig finished another stunning trailer for our 2nd International Milonga. And then there is the CRAZY CTA SUMMER SALE including the brand new CTA July releases by Akihito Baba! Get your CTA CDs for under 30,- EUR! There are places available especially for couples or leaders. Be part of this wonderful experience offering you a great location with wooden dancefloor, warm Tango embraces, delicious food and wonderful Alpine views. 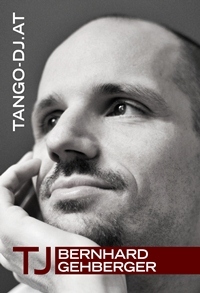 Let us take care of you at this truely all included tango marathon event! Watch the 1st edition trailer to get an idea of what's waiting for you in Austria! Be part of this great event and make it even more special! Join us from September 12-15 for Alpine Abrazo, and take an extra few days and pack your hiking clothes to enjoy the surroundings! We are looking forward to spending this great weekend with you! Stefan Ludwig finished another stunning Trailer for our 2nd International Milonga which took place 26 & 27 July in Vienna. We would like to thank all the dancers from Vienna who attended despite the crazy temperatures outside and especially all the dancers from abroad for travelling so far to be part of our event! We are looking forward to seeing you again at our next International Milonga! Get CTA CDs for as low as 29,60 EUR per CD! For orders being placed within one week till Friday 16 August 12:00h we will refund you up to 20% of your CTA-order when paid via bank or private paypal transfer! This is a rather old argentinian CD series. Of course it is out of print for long time but you may be able to find it on ebay or mercado libre. If so, take it! Despite being a very inexpensive argentinian production the quality of the recordings is outstanding and belongs clearly to the best you can find! El Bandoneón was one of the first labels re-issuing tangos on CDs. There are lots of known problems with this series which is why we avoided those CDs for a long time getting better quality releases first. However many collectors and Tango-DJs do have those CDs and for the sake of better meta information we got a bunch of El Bandoneón and Blue Moon CDs in order to correct their information and feed our database. Problems you will run into using those CDs: There are various speed problems ranging from too slow (seldom) to way too fast (often). Lots of information about vocalists or recording years are either missing or very wrong. Some of these errors are listed by Johan on his website El bandoneón revisited. We started to note down our corrections in order to add them to Johan's list, but we soon had to give up as there is something or everything wrong on almost any El Bandoneón or Blue Moon CD you look at in detail. So please recheck your El Bandoneón CD or tagging with the information given here or in our database if you are interested in correcting your information/tagging.